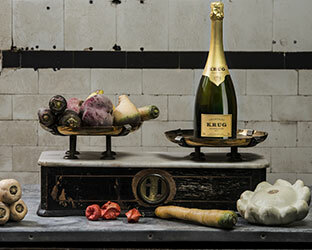 For its fourth edition, Krug en Capitale is investing in the Musée Nissim de Camondo. From March 8th to 12th, guests can discover the unique scene-setting of an ephemeral musical vegetable garden in the heart of a greenhouse set up in the mansion’s gardens. For this new album, the chef Armand Arnal of La Chassagnette transposes his garden and is ready to play an exclusive menu composed of dishes highlighting Krug champagnes. Whether at lunch at the “K time” in the afternoon or at dinner, only a very limited number of guests will enjoy these exceptional moments in such an unusual setting. B.D.